The "Balticborg", while sailing river upstream on the Weser in the evening of Dec 17, 2017, caused damage to the fishing gear of a fishing vessel which was anchoring off the Liener Kuh Sand at that time by its swell and suction. The damage was estimated to be in the 5-digit-Euro region-. The "Balticborg“ berthed in Bremen at 9 p.m. The master had to pay a safety fine of 353,5 Euro and was subject of an investigation by the water police Brake. 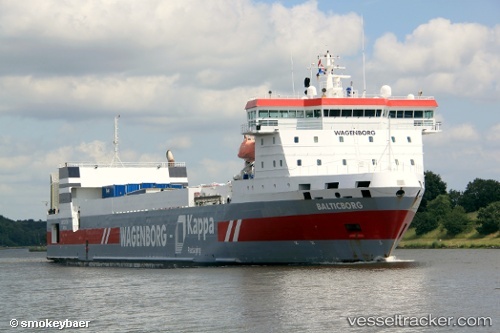 The ship left Bremen again on Dec 18 at 11 p.m., bound to Sheerness, ETA Dec 20.